While working as a chromatographer in the pharmaceutical industry, it became apparent to the editor that there was a pressing need for a comprehensive reference text for analysts working on the resolution of enantiomers by liquid chromatography (LC). This need arises from the fact that, whereas previously it was very difficult to determine enantiomers by direct means, there is now a wide choice of direct LC methods. At the same time, regulatory authorities have been changing their attitudes towards the administration of pharmaceuticals as racemates, partly because it is now possible to study the individual enantiomers. Clearly this abundance of new information needs to be rationalized. More importantly, the chiral LC systems which are commercially available or readily accessible to the practising chromatographer needed to be reviewed and, to a much greater extent than in existing reviews or books, discussed in terms of their practical application. 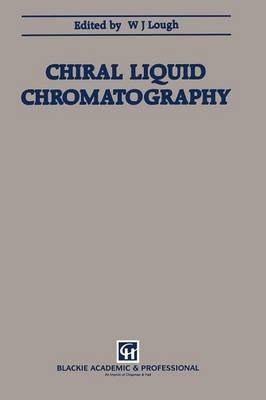 Accordingly this book is very much orientated towards the practical aspects of these commercially available and readily accessible chiral LC systems. To this end, it is written for practising chromatographers by a team of practising, experienced chromatographers who have spent many years tackling the problems presented by resolving enantiomers by LC. The practical aspects of common chiral LC systems cannot be fully understood if discussed in isolation.